Fans of the DC superhero shows Arrow, The Flash, Supergirl, Black Lightning, and DC’s Legends of Tomorrow received good news today as The CW announced early renewals for a batch of their primetime shows. In all, 10 of the network’s current shows were given renewal orders and will definitely return for the 2019-2020 season. Supernatural, Legacies, Riverdale, Dynasty, and Charmed were also picked up for another season. Supernatural starring Jared Padalecki and Jensen Ackles will return for its 15th season. Arrow, the long-running superhero series that launched the network’s journey into the genre, will be back for season eight. 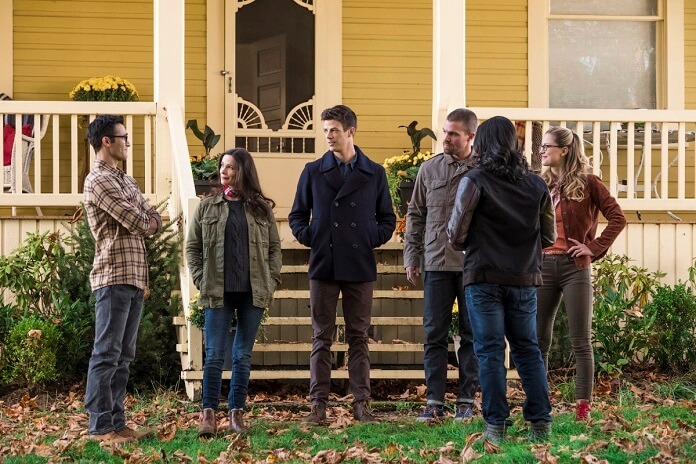 The Flash with Grant Gustin earned a sixth season while DC’s Legends of Tomorrow will stick around for season five. Supergirl, which spent its first season on CBS, will spend its fifth season on The CW. Black Lightning starring Cress Williams in the title role will return for a third season. Riverdale and its complicated characters earned a fourth season, while the remake/revamped version of the classic nighttime soap opera Dynasty picked up a third season order. Freshman hits Charmed (a reimagining of the ’90s series) and The Originals spinoff Legacies earned second season orders. The CW has not set premiere dates for their 2019-2020 primetime lineup.